As many of our readers know, the Cooper Hewitt, Smithsonian Design Museum (f.k.a. 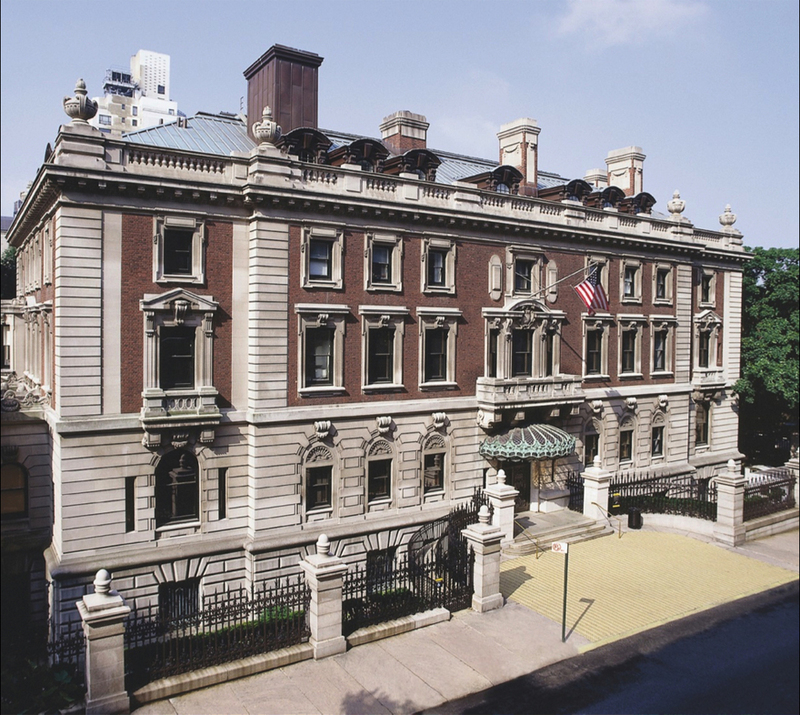 Cooper-Hewitt National Design Museum) will host its grand re-opening next month, following the three-year renovation of the historic Andrew Carnegie Mansion on New York City's Museum Mile. Although museum director Caroline Baumann hinted at many of the elements of the institution-wide refresh last fall, when she was a guest on our Afterschool podcast, she gladly elaborated on several of these initiatives in a recent conversation with our own Allan Chochinov. 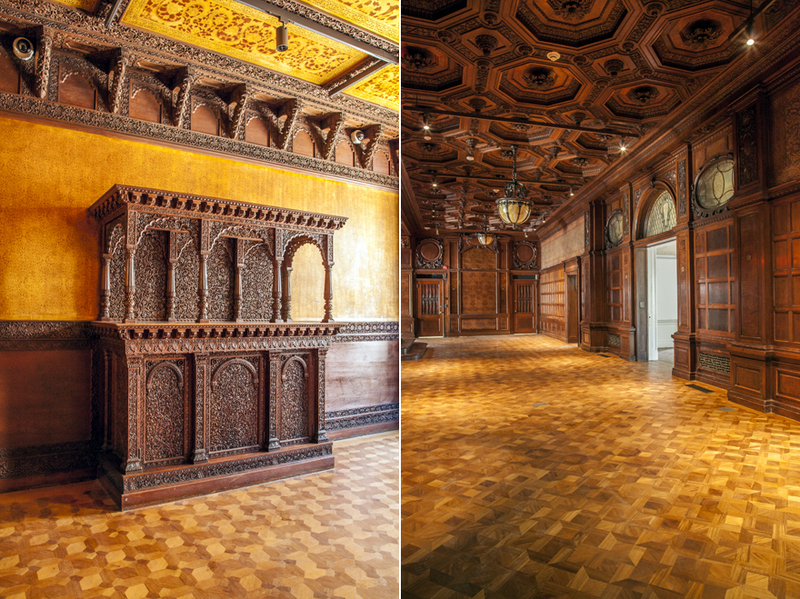 With the mansion at 2 East 91st St set to open in just ten days, we're all ears as Baumann gives us a taste of what to expect. Allan Chochinov: Let's start at the very beginning Caroline. We've been (impatiently!) waiting for the museum to reopen for a couple of years now, but tell us how the project began, what precipitated the renovation, and what the original wishes for a newly imagined museum were? Caroline Baumann: The seeds of the project were actually sown over a decade ago. Back in 2000–2001, we began to forge a new strategic plan, one that would transform Cooper Hewitt from a design museum housed in a 19th-century mansion, to a dynamic, interactive, 21st-century museum experience. From 2004–2006, we began outlining our master plan with Beyer, Blinder, Belle Architects & Planners, creating a vision for Cooper Hewitt as a design destination. At this time, there was tremendous interest in what we were doing, with long lines for our exhibitions and standing-room only for our educational programs. It was the perfect time to build on that momentum and ideate on how to expand our reach, how to grow our audience and impact. A reconditioned space would be the foundation of our reinvention and, in 2006, the Smithsonian and our Board of Trustees approved the renovation plan, green lighting the capital campaign that made all of this possible. From 2006 to 2007, we travelled the world reviewing various design architects' works, evaluating who could best bring our vision to life; schematics and design development took place from 2007 to 2008, and by 2009, Phase 1 was off and running, with the collection being transferred to offsite conservation and storage. In terms of our original wishes, we wanted our newly imagined museum to allow for a completely reinvigorated visitor experience, one that could break out of the restrictions imposed by the mansion's Georgian architecture. This is particularly evident in our third-floor renovation—previously a research library—which will now house 6,000 square feet of gallery space. We needed to create uninterrupted space to exhibit contemporary design without having to build false walls, and we've done just that. When we reopen on December 12, visitors will be able to experience our collections like never before in the history of Cooper Hewitt. How does the renovation and reinvention address the challenges of collecting, curating and exhibiting design, especially as the practice increasingly includes digital or even intangible mediums? Most visibly, 60% more space to exhibit the latest in design innovation at Cooper Hewitt. And 100% more efficient space as we've upgraded all our facilities to improve turn around time between exhibitions. We are embracing new technologies, encouraging museum audiences to be co-creators with both our collections and programs, as well as redefining how we exist as a museum resource for a digital age. 3D modelling and animation will bring objects to life. The new interactive experiences in our galleries designed with Local Projects open up the collection and allow visitors to browse and be inspired to create their own designs. The Pen [described in detail below] symbolizes the change we are making from a museum of looking to a museum of doing. Curating will always include digital resources going forward, which will be interpreted online and onsite, on multiple platforms. The public will become more involved in the curatorial process through social networking and crowdsourcing. Our emphasis is on access, establishing narratives for collections, and story led interpretation which is a change from our decorative arts past. Using the web, Cooper Hewitt and museums in general can reach a wider audience, people who have not been traditional museum goers—this is really exciting, keeping in mind that it is the power of the message rather than the technology (the deliverer) that is the goal in itself. The museum has for a long while embraced technology as part of the visiting/viewing experience, but when the new museum opens, you've got a couple tricks up your sleeve! Can you tell us about those? Cooper Hewitt has long embraced technology as a way to enhance the visitor experience. In fact, many years ago, we were one of the first museums in the country to offer visitors iPads as a way to engage them. And although we did have some success with this practice, we noticed that only a small percentage of visitors actually took advantage of the opportunity. Nonetheless, we remained committed to incorporating ever-evolving technological advances to help audiences interact with our offerings in new and exciting ways. Enter "the Pen." This breakthrough electronic device will be given to everyone who walks through our doors, beginning December 12th when we open them for the first time in three years. The Pen is an integral part of our reimagined visitor experience, a tool that encapsulates the museum's shift from a place of looking to a place of doing. Not only will it allow visitors to collect information, it will encourage them to create it as well, giving them a chance to "play designer." Conceived by Diller Scofidio + Renfro and Local Projects, the Pen was brought to life by a team of expert thinkers and industrial designers from the GE Industrial Design Council, Undercurrent, SistelNetworks and MakeSimply, who communicated daily with the Cooper Hewitt team. This was truly a collaborative effort, one that tackled numerous design and electrical engineering challenges. But like so many of the objects in the museum's galleries, the Pen exemplifies how designers develop solutions to real-world problems. Can you tell us a little bit more about what the Pen actually does? What's most intriguing about the Pen is what it enables: a truly immersive, interactive experience. A trip to the new Cooper Hewitt can now be much more social and playful, as visitors explore our spaces with a powerful new tool in hand. 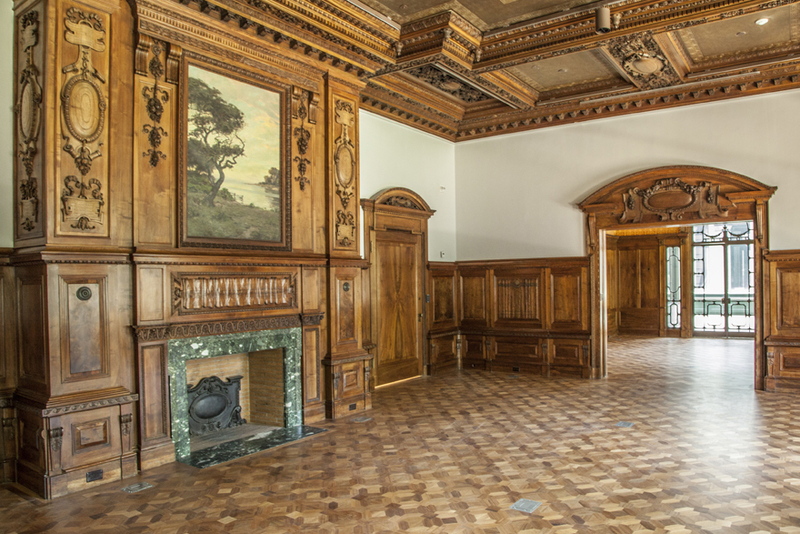 This will be particularly evident in our new Immersion Room, where interactive tables will allow visitors to digitally explore our extensive wallpaper collection by projecting the designs onto two walls from baseboard to ceiling. They can also draw their own designs using the interactive tables, developed in partnership with Local Projects. And in our Process Lab, visitors will brainstorm design solutions through hands-on and digital activities that illustrate the design process. The Pen is essentially the visitor's ticket to design. With it, everything they see or do during their time at Cooper Hewitt is recorded and can be accessed and shared after leaving. It can also be supplemented during each future visit. It's all part of our new policy of open access. In 2012, we gave away our collection data, and just a few months ago we gave away our new typeface, Cooper Hewitt. We do this because we want our visitors to dive into the collection and be inspired and empowered through design. And there will be a whole lot more of that when we reopen in ten days! I'm glad you mentioned the typeface. What was inside the design brief for the identity of such a high-profile challenge? The design brief for our new identity embodied the characteristics and philosophy of the new Cooper Hewitt: bold, energetic, confident and, most importantly, accessible. The design brief also included an analysis of our name and whether it was time for change. The challenge really involved developing a graphic embodiment of our mission: to educate, inspire and empower people through design. This was no easy task and we went out to three firms with an RFP for this monumental task. We were fortunate to find a wonderful partner in Eddie Opara of Pentagram. Right from the start, he understood our challenge and just how important it was—after all, this is the nation's design museum. The entire process was very collaborative, and we involved all of our stakeholders, from the Smithsonian to our trustees and staff, in the conversation. We met regularly to hash through the issues and I remember with great clarity the moment we hit on our current mark. We were in the top floor conference room at Pentagram and Eddie's team had generated some incredible sketches, but we were continually drawn back to the same simple yet bold logo. What was even more fascinating was the consensus around this mark—everyone loved it. The energy perfectly married with our vision for a new Cooper Hewitt, which will have compelling contemporary and historic design works. From dynamic new signage to our web presence, the new identity is bold and memorable. We've been finalizing all of our communications materials, everything from membership materials to our admissions ticket, and the new mark with its clean lines is holding up to every job we throw at it. All of these elemtns represent both a forward-looking realization of the potential of new media/technology and an effort to 'futureproof' the museum as a quintessential cultural institution. 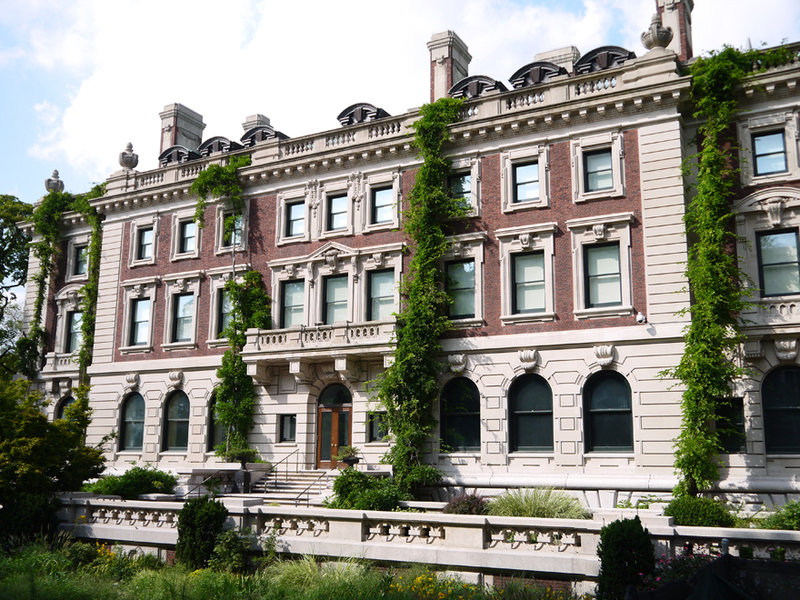 What do you think the future holds for the Cooper Hewitt and museums in general? The future holds exciting experimentation, discovery and empowered learning at Cooper Hewitt, where design objects of yesterday and tomorrow will mark time and place and tell stories to audiences of all ages. 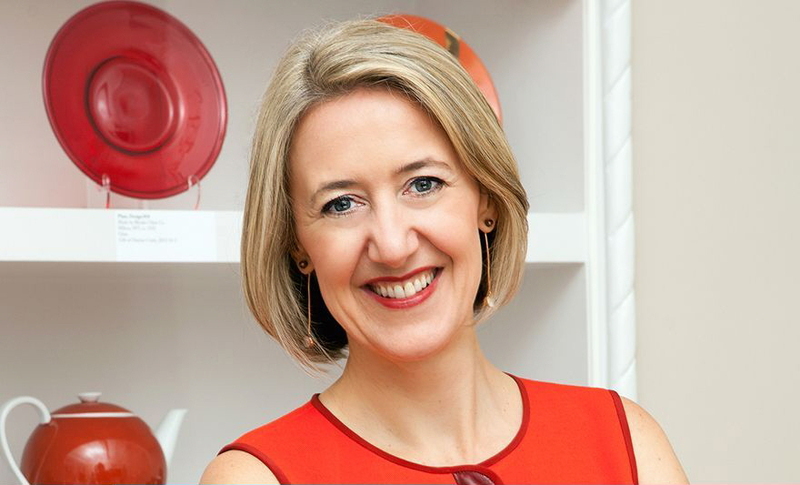 Using the Cooper Hewitt collection and exhibitions creatively, we will engage our visitors—at the Museum and online—in dialogue about what matters in design. In the past, museums were all about tape and 'do not touch' signs. At Cooper Hewitt, we are encouraging the visitor to be more interactive, social and playful. We will reflect global challenges from climate change to sustainability to poverty, expressing how design might reimagine a more liveable world. Across the globe, for museums in general, the institution of the museum has a vital role to play, providing meaning, identity, entertainment, inspiration and community, all at the same time. The Cooper Hewitt, Smithsonian Design Museum will reopen to the public on Friday, December 12, with several special exhibitions—from the story of the museum's eponymous founders to new interactive galleries—alongside the first long-term survey of the Cooper Hewitt's permanent collection. 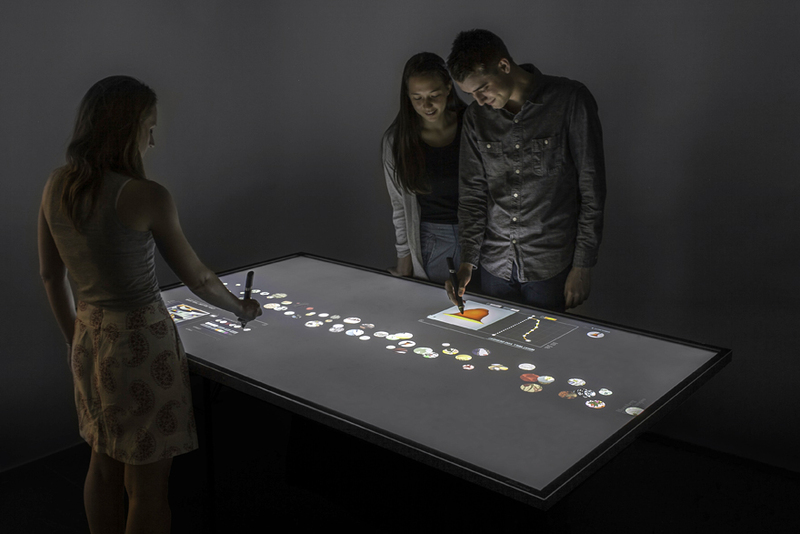 Designers may be particularly interested to visit Tools: Extending Our Reach, spanning some 1.5 million years from handaxes to 3D printers, and Beautiful Users, curated by Ellen Lupton and dedicated to the memory of Bill Moggridge; learn more here.